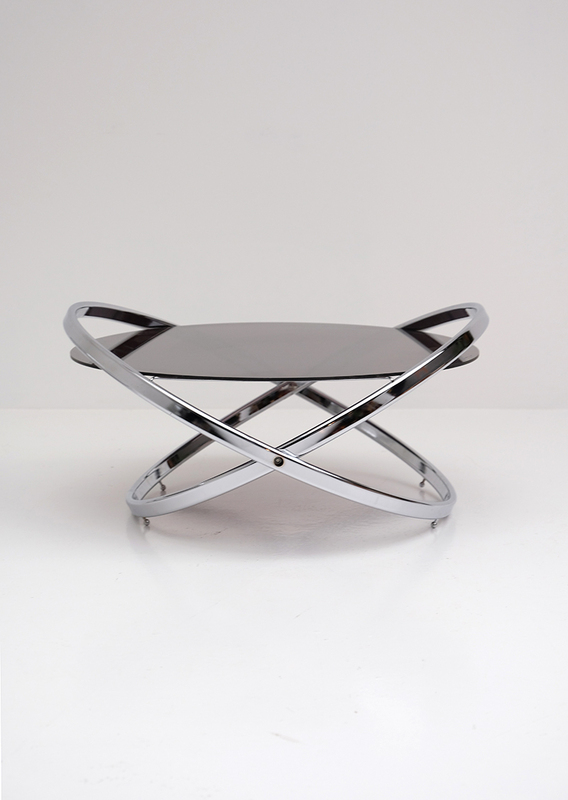 Pair of Roger Lecal coffee tables from the Jet Star edition. 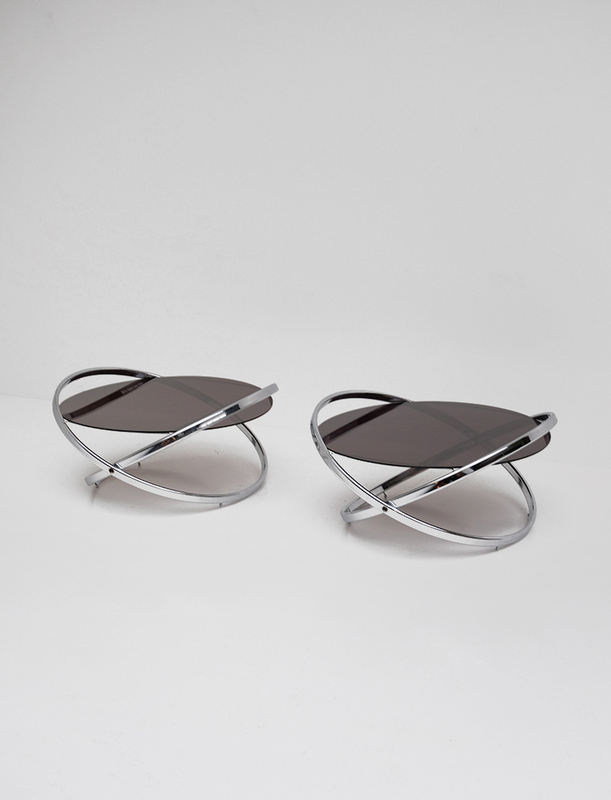 This set of coffee tables matches pefectly with the lounge chair from the same series. 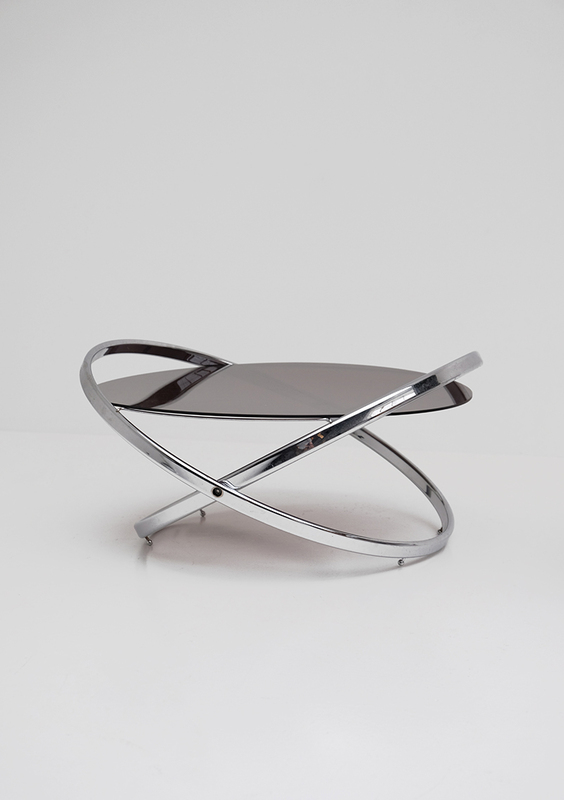 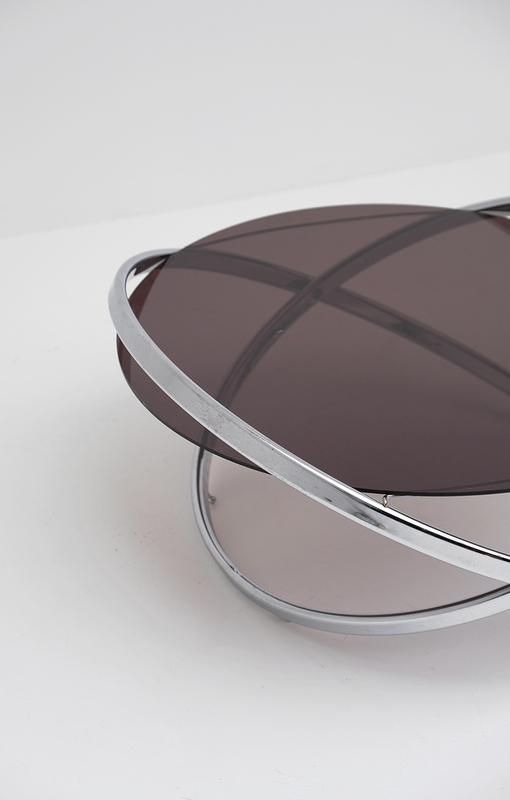 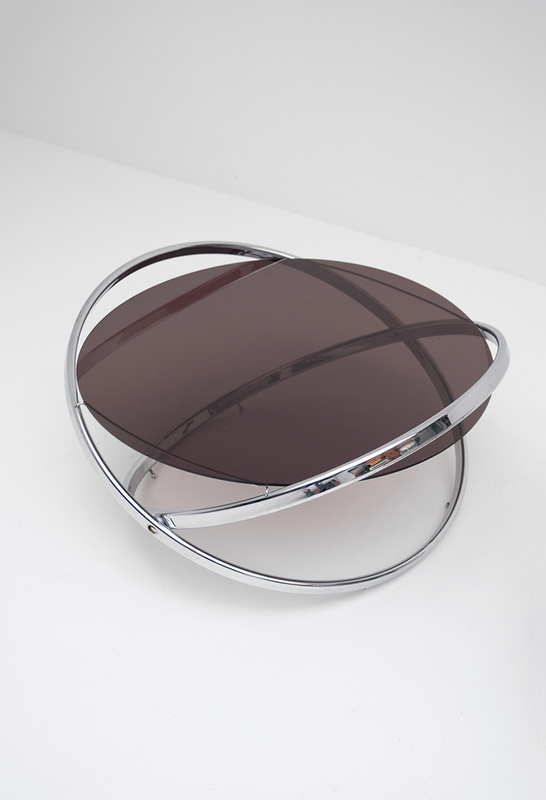 The perspex tabletop is resting on a chrome metal base shaped as two large crossed rings. 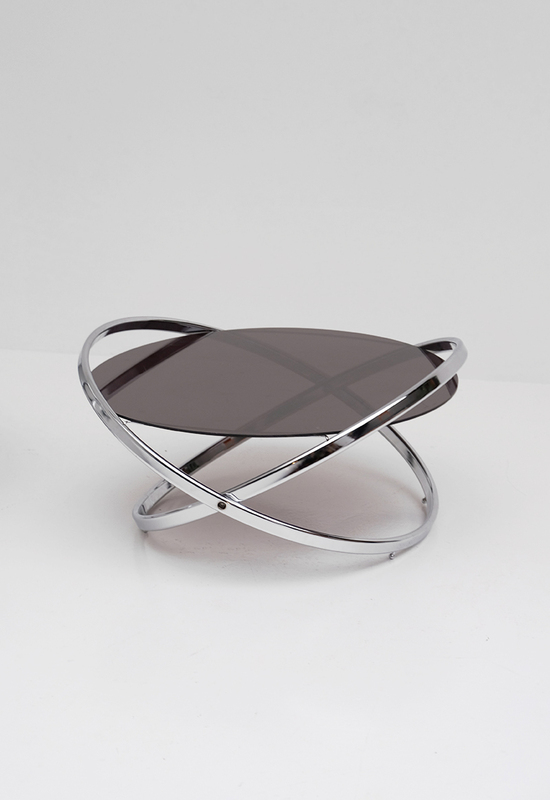 The tables come from death stock and comes with the original labels, manual and box.